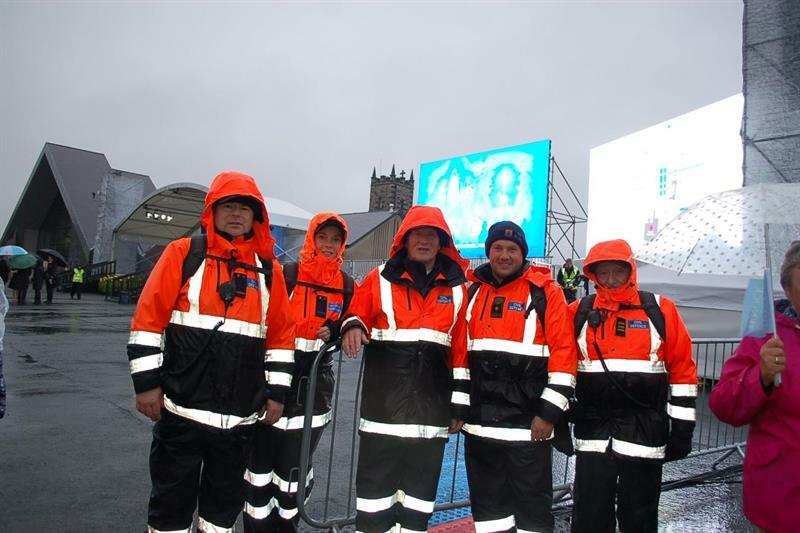 During the Papal visit to Ireland (the first for 39 years) over the weekend of 25-26 August, Civil Defence volunteers supported the Gardaí and the National Ambulance services at two locations (Phoenix Park and at Knock Shrine). At both sites, a communications vehicle using the TETRA network ensured between all volunteers and the emergency services. For the Phoenix park operation, where the operational teams had to ensure the safety of a Vatican-estimated 300,000 people and the Pope gave a Mass to close the World Meeting of Families – a global catholic gathering held every three years, a number of volunteers also provided the Gardaí with drone capability as and when required. According to the Leinster Express, an aerial survey and digital mapping of the Phoenix Park was performed in advance of the Papal Visit. Around 540 Civil Defence volunteers were involved in the operations, with 140 on duty at Knock Shire and approximately 400 at Phoenix Park.